At the beginning of the year, we published our plans for 2018, and committed to continuously improving your developer experience using DigitalOcean. We included an open call for developers willing to provide feedback on new features focused on making it simpler for you to manage all the infrastructure needed to run applications at scale. One consistent piece of feedback we heard is that you wanted more control of how you organized your infrastructure. Today, we’re proud to announce the rollout of more updates, including a new navigation and an exciting feature set that we call Projects, which extends the Dashboard capabilities to keep you organized even as your infrastructure needs grow. 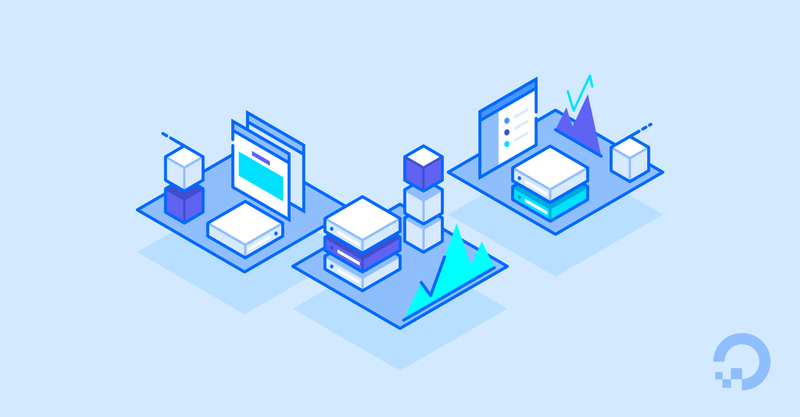 We created DigitalOcean Projects to keep your systems organized and focused, save you time navigating the Control Panel, and align with the applications, environments, clients, or projects that you use to run your businesses. 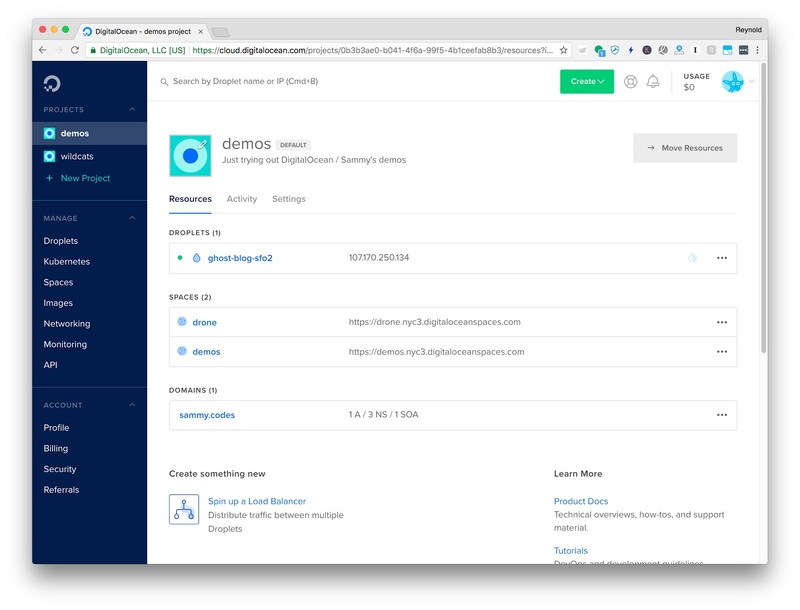 The release of the Dashboard experience presented your Droplets, Load Balancers, Domains, Floating IPs, and Spaces in one place. Now with Projects, we put you in control. You can create the structures that make sense for the way you and your team work. With this new release, all of your existing resources will start off in your default project, which works just like the Dashboard. As you expand your infrastructure from that single project, you will be able to create more projects and move your resources freely between them - during creation, one at a time, or via the bulk move option. You can quickly navigate between projects through the new projects menu, which sorts your default project at the top and your most recently created projects below it. In the Settings tab, you can make changes to the project name, purpose, and description, or delete unused projects. There’s no limit to the number of projects you can have, or the number of resources you can have in them. They scale to meet your needs. As soon as you log in, you’ll notice some design changes. We needed to make changes to maintain the simple user experience you love, especially as we plan the addition of more capabilities like Kubernetes, DBaaS, VPC, and Application Marketplace. The most obvious change is the updated main menu for the Control Panel. The new left navigation focuses on your projects. We kept our familiar links to Droplets, Spaces, Images, Networking, Monitoring, and API intact below them, and added your account information—Profile or Team, Billing, and Security settings, so that they’re always only one click away. On the top, we provide quick access to your Droplets by making Droplet search more prominent, and added your current month’s usage so that you can keep track of your costs at a glance. The design and development of projects required multiple iterations, frequent usability tests, and continuous feedback from you. We couldn’t have done it without the involvement of our beta volunteers. If you would like to be a part of future research initiatives or product betas, please see our research page and sign up for the research program. We look forward to your feedback as we continue to improve the Control Panel.